O’HARA ~ Mrs. Barbara O’Hara was born September 22, 1945 to Thomas Jefferson Haywood and Mattie Beatrice Ingram in Tampa, Hillsborough County, Florida. 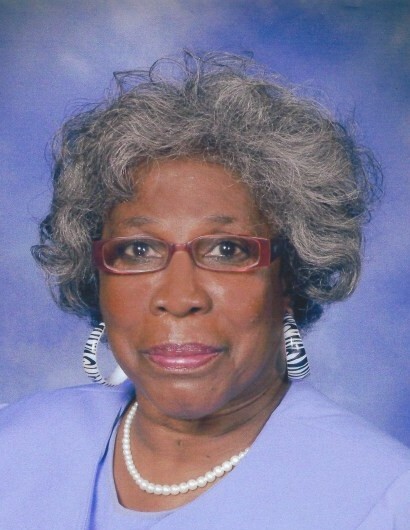 She relocated to Folkston, Georgia and attended the local public school in Charlton County. During the summer months, Barbara visited with her siblings in Jacksonville, Florida; after graduation from high school, she relocated to Waycross, Georgia before settling in Jacksonville, Florida. Barbara held several employment position and was dedicated and proud of each – Certified Nursing Assistant, King Edward Cigars, Jacksonville Shipyard, and Shaws. She married the love of her life, Capris Lee O’Hara, in 1967 and this union was blessed with one child, Charles. She raised her son and taught him the love of God, the value of an education and hard work. Barbara acknowledged Jesus as her personal savior and was a member of Hope Chapel, under the leadership of Dr. Jeannette C. Holmes. She enjoyed fishing, cooking and shopping; she just could not stay out of the stores. She also enjoyed traveling and visiting with family and friends. Barbara was preceded in death by her husband; parents; and sisters, Patricia Ann, Luvessie and Thomasina. Throughout her sickness, Barbara continued to trust God. She was loved by all who knew her and leaves to mourn and cherish her memory, son, Charles (Roxanne) Ingram; step daughter, Glenda Mobley; grandchildren, Chakiea Boykins, Shaonna Ingram & Charles Ingram, Jr.; great-grandchildren, Charles Ingram III, Braeyah Rhyanna Thomas; siblings, Robert (Janet) Bolden, Willie Haywood (Mary) Nelson, Thomas J. Haywood, Jr., Katie Field, Evelyn Valdez, Mildern Powell, Gloria Brown, Cynthia Derry, Eleanor (Robert) Brown, McAuther Haywood Nelson, Gloria Potter; many loving family and friends. Celebration of Life Service for Mrs. Barbara O’Hara will be 11:00 AM Friday, September 14, 2018, Hope Chapel Ministries, 9850 Wagner Rd., Apostle Dr. Jeannette C. Holmes-Vann, Pastor. Family will receive friends THURSDAY from 5-7 PM at The Soutel Chapel. Interment at Restlawn Memorial Park. Because of the love of her family, arrangement entrusted to J. E. Fralin & Sons Funeral & Cremation Services, 5065 Soutel Dr. 904.924.9400.